It's been a very long time since there has been a 'Life Lately' style post around here and I felt one was long overdue! I actually really enjoy devouring this type of post from other bloggers, mainly because I'm nosy and I guess it kind of falls into the same sort of category as 'What's in my handbag' and the such! Exploring Cardiff's Coffee / Breakfast Offerings - This is for all my Cardiff based readers (or those thinking of visiting the city soon!) Sometimes at the weekend there's nothing I love more than getting up a little bit earlier than normal and going out for breakfast (or Brunch by the time I've slapped on a face of make up and sorted out my hair!) As of late, a lot of new coffee shops have been popping up around Cardiff and I'm making it my mission to try them all! So far, a highlight for me has been KIN + ILK . Such stylish decor and they serve fantastic smashed avocado on toast and the best coffee I've ever tasted! And they are opening a second outlet just around the corner from my house! Winning. Lean In 15 - if you watch my Snapchat or follow me on Instagram, you'll definitely have been subject to my latest cooking creations! Sorry about that ;) Seriously though, this book is a lot better than I thought it would be. I didn't buy it because I'm trying to lose weight, although I'm guessing if you follow the plan and do all the exercises he recommends it would probably work in that department. (I'm going through an 'I can't be bothered' stage at the moment - let's not talk about that though!) 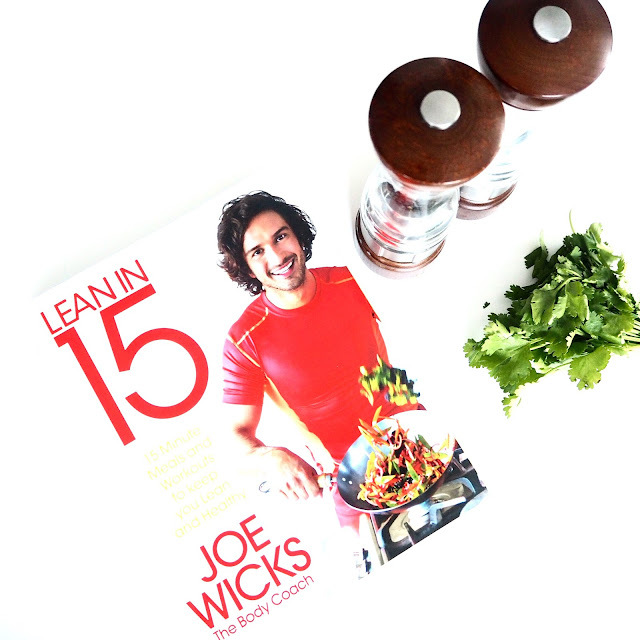 The best thing about this book is that everything is so quick and easy to make and tastes so good. AND no faffy ingredients to source from health food shops (because seriously, who has the time or inclination to do that?!) If you're still on the fence about getting this I'd strongly recommend you do! 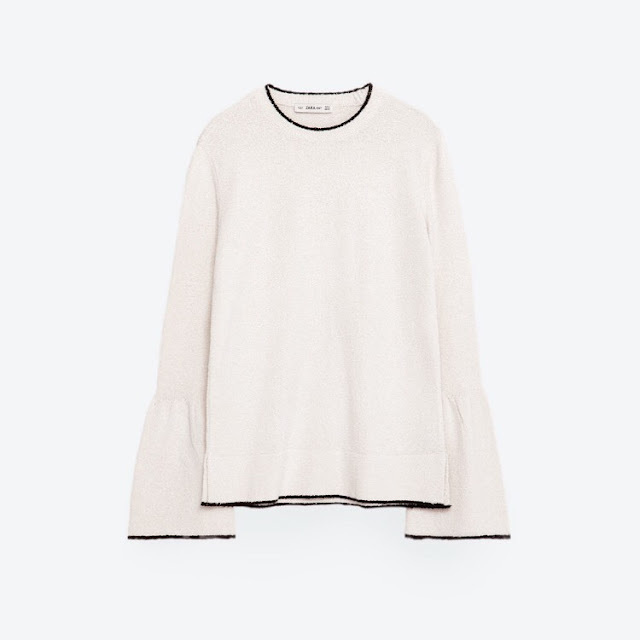 Zara Jumper - spotted this on another blogger this week, guaranteed to be in my wardrobe next week. *insert laughing face here! 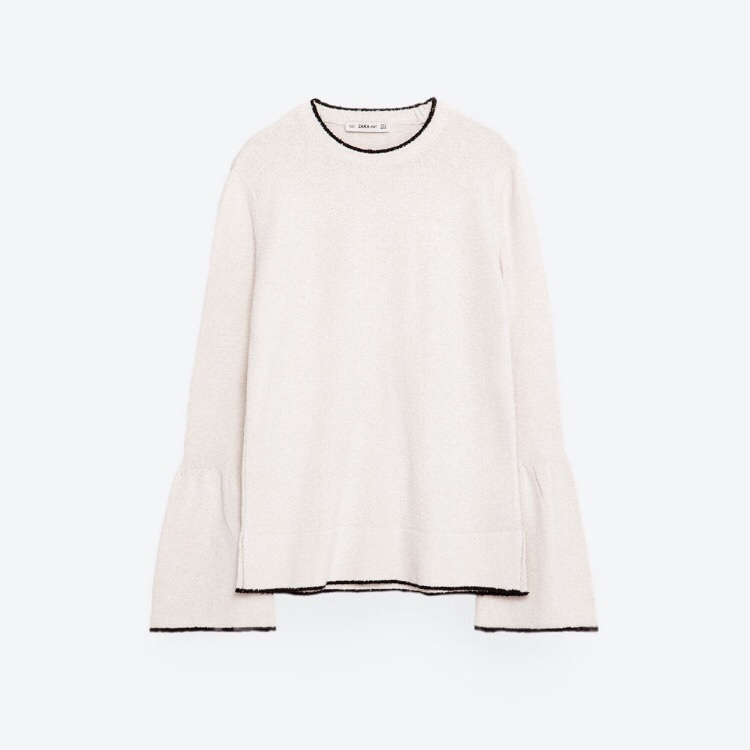 * I just really like the shape of the sleeves on this jumper and of course, it's monochrome....yawn! Smith and Cult Nail Lacquer - For someone who spends all day at a computer typing, Nail Polish longevity is a real issue for me. I'm heavy handed with a keyboard and my nails look unsavoury after just a couple of days! 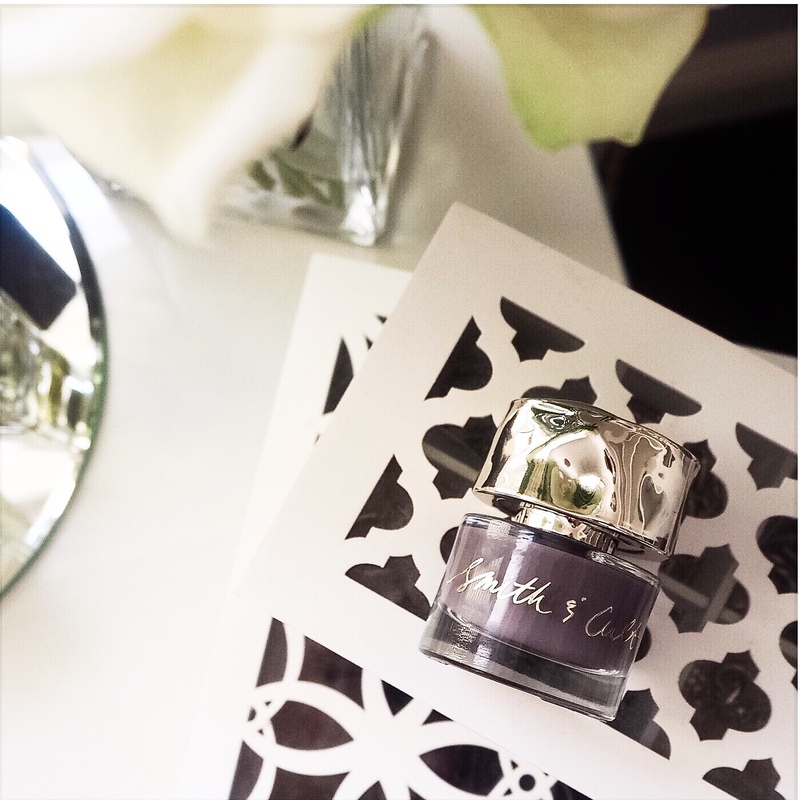 Until I started using 'Smith and Cult' and I'm really impressed with the quality of these nail polishes. They're very opaque, dry quickly and now they also seem to be equipped with a very good brush (the first one I bought didn't but it looks as though they've rectified this - yay!) I want more and a pale pink is next up! You can get them from SpaceNK in store or online and also Net-a-Porter. 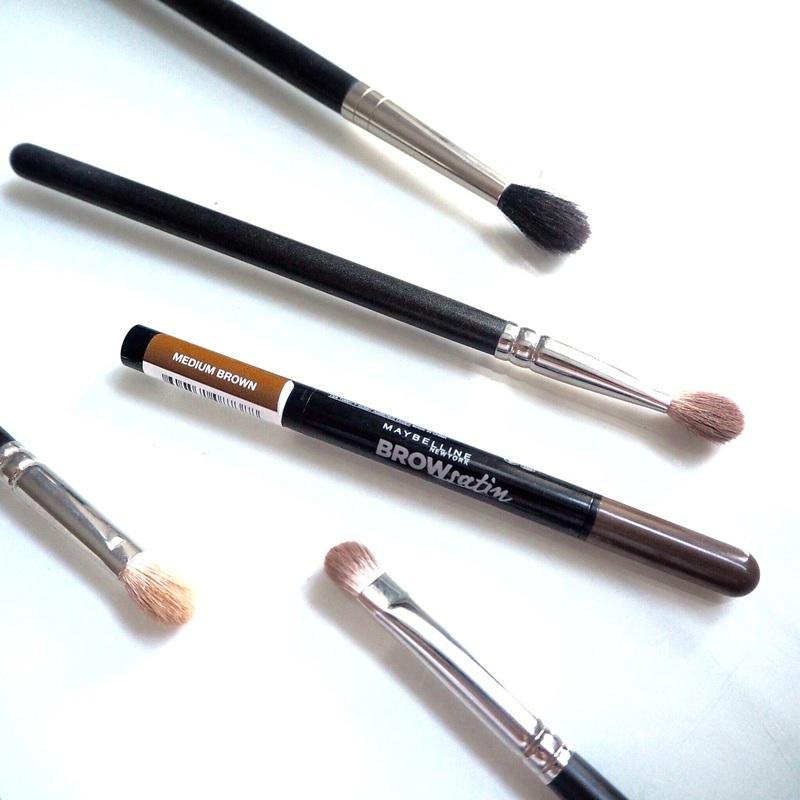 Maybelline Satin Brow Pencil - I grabbed this quickly whilst getting my lunch at Boots a couple of weeks ago and I'm suitably impressed with its ability to create a natural yet defined brown in an instant. The powder and applicator at one end is great for the front of my brows and the little pencil on the other side is perfect for shaping the ends. At £5.99 you can't go wrong! J Crew Cashmere Jumper - I remember having drinks and shisha with Laura (buynow/bloglater) in January and discussing what our next 'special' purchase would be. Hers was going to be a Chanel (which incidentally she has purchased now and it's oh so beautiful!) For me it was something far less interesting in the form of a black cashmere jumper! But hear me out here. 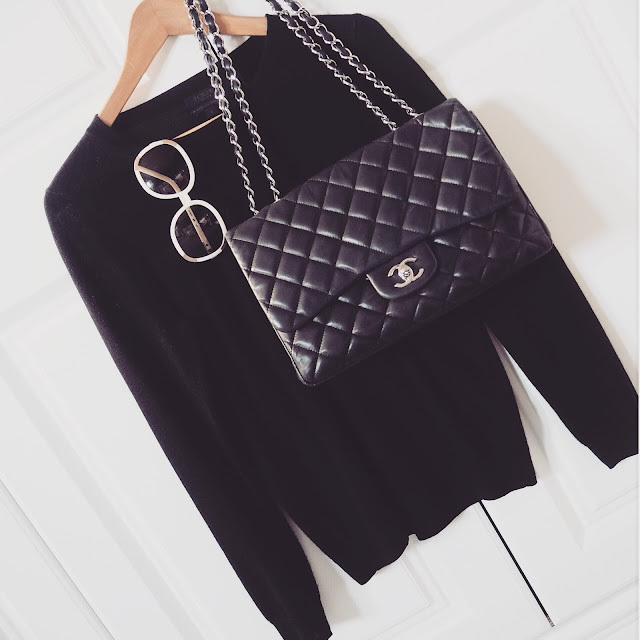 Over the last few years I've made a conscious decision to buy good quality 'staple' items for my wardrobe and a black semi fitted cashmere jumper was something that I'd been trying to hunt down for a while. I took a chance recently by ordering one from JCrew and came up trumps! :) the cashmere is very fine so it's going to perfect going into Spring. 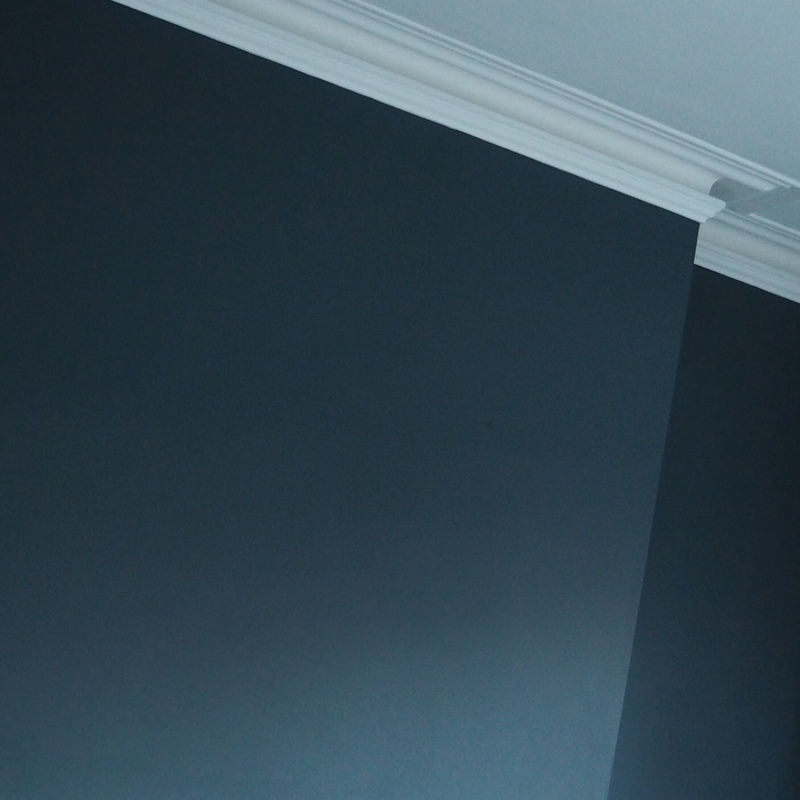 It's just such a gorgeous, classic item and I'm considering more colours now....grey perhaps?! haha! You made it! Congratulations for sticking with me for this long!